← Classic Pop Magazine publish special magazine on Kate to celebrate 40 Years of her career! 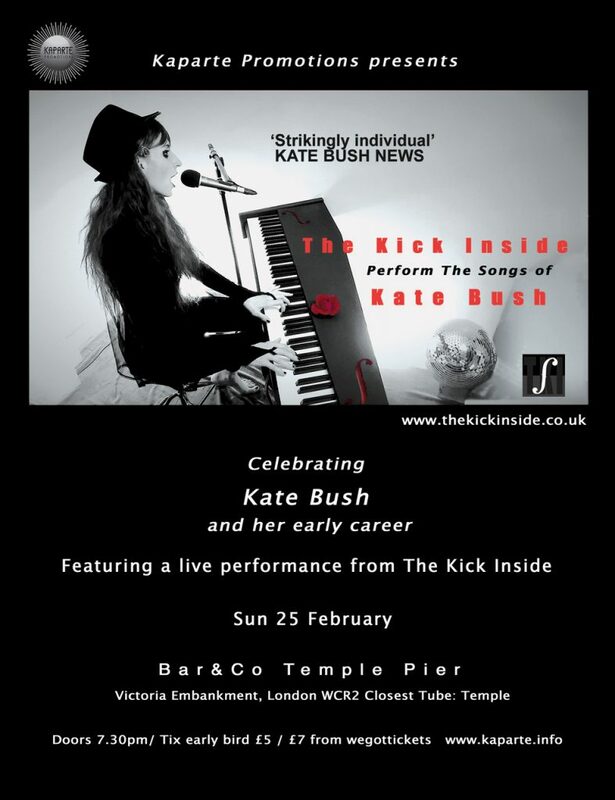 Raf Mantelli has been in touch to let us know that her new tribute act, The Kick Inside, celebrating Kate’s early career, are finally launching with a show in London on Feb 25th at 7.30 pm. Venue is Bar & Co at Temple Pier, Victoria Embankment, WC2R2PN London, It features Raf on vocals and piano and O Richard on double bass. This entry was posted in Tribute Bands. Bookmark the permalink.